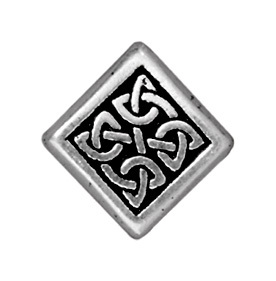 TierraCast® Medium Celtic Diamond Bead, Antique Silver Plate. Qty of 4. Measurements 13mm x 13.25. Hole is on the diagonal.